We are a professional, talented, friendly, and dependable team of Licensed Makeup and hairstylists. We have been in the beauty industry for over 10 years, working for MAC Cosmetics, Dermalogica Skincare Products, Sephora, and much more. We have certifications in Advanced Makeup, (with MAC Cosmetics),Fashion Show Makeup, Camouflage Technique, and Aesthetics. We are licensed by the California State Board of Cosmetology and Aesthetics. We have done work for Photography, fashion shows, videos, and commercials. LL & L emerged when we realized we wanted to do more than just sell makeup behind a counter- there was a strong desire to connect with people and build relationships while helping them feel beautiful inside and out. We believe in providing the best service to our customers while creating a look that you love at an affordable price. Our goal is to make you look and feel your absolute best, rather it be your wedding, birthday, or just a night out on the town ! We strive to listen to our client's needs and meet them beyond expectations. We can create the best memories! When it comes to weddings, we are know it all's! This season, we completed over 80 weddings and serviced over 300 women! Weddings are already stressful, we do everything we possibly can not to add to that stress. LL & L will make a schedule for hair and makeup for your wedding day, send emails out to your wedding party about our services, help you put your veil on, we can even supply you with a Bridal Emergency Kit- the list goes on and on! If you have any special requests, please don't hesitate to ask. Let LL & L be a part of your event! Please browse our site and get to know us! To inquire about our services, please use the contact information at the top of the page. We cant wait to meet you! 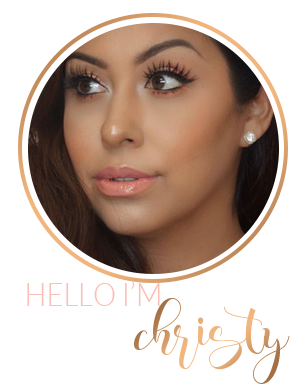 Meet the Artist behind Lashes Lips and Love!! Hi Everyone! My name is Christy and I am the founder of Lashes Lips and Love. I handle all the booking and scheduling and I am the lead MUA. I also have a licensed Hair Stylist that is amazing as my second hand, Alma. Any bridal parties over 5 people you will get the pleasure of meeting her :) I am a mother of 3 beautiful little girls and a little prince. xo I absolutely love what I do and my goal is to see my clients look in the mirror and feel like a million bucks!! Feel free to discuss with me any needs or wants you may have or any questions, I will do my absolute best to assist you. Thank you and I look forward to meeting with you xoxo.